PASSCheck™ ID Credential Validation Software enables the instant authentication of credential data, ID documents, and card presenters of ePassports, ID-1 ICAO smart cards and other MRTDs. CardLogix PASSCheck ID Credential Validation Software is a unique software application that reads, decrypts and validates data from the CPU chip embedded in ePassports and other ICAO MRTDs (Machine Readable Travel Documents). It supports multi-modal biometric verification, optical authentication, and optional watchlists and PEP compliance. The software enables an advanced level of security and authentication for border control and immigration, airport security, gaming compliance, and other identity programs. PassCheck is designed for multiple settings, including fixed locations, multi-device environments, and mobile frontline management of personnel. The software is available in two versions that offer the same features but differ with regard to style and hardware. PassCheck for Windows PC™ is compatible with a wide variety of scanners and readers that connect to a Windows PC. PassCheck for Unity™ is designed specifically for Corvus’ Unity™, the ultimate handheld, mobile identity solution for multi-modal biometrics and ID Credentials. Credential and Data Integrity: Unlike other passport and MRTD validation software, PassCheck instantly reads credential data from the chip, decrypts the data based on the BAC standard, and then validates its digital signature against published certificates for each country. This capability ensures that the data from within the credential’s chip came from the authorized issuing country and that it remains in its original form without signs of tampering or alteration, ensuring data integrity. Cardholder Identification: The software facilitates subject verification by displaying and verifying a biometric modality (e.g. 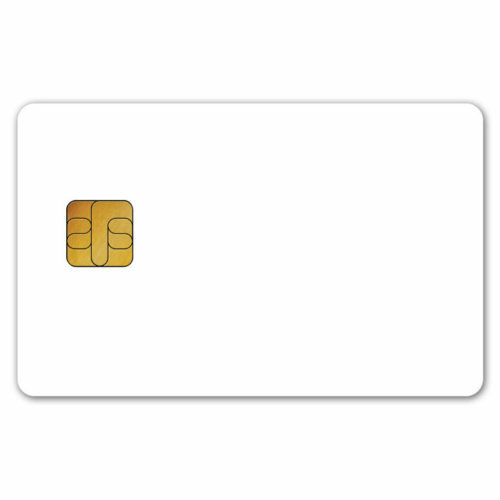 photo, signature, fingerprint, or iris) stored in the credential’s smart card chip. The biometric modality can be matched against newly captured biometrics from compatible biometrics-enabled hardware. This ensures that the presenter is the authorized owner of the ID Credential. 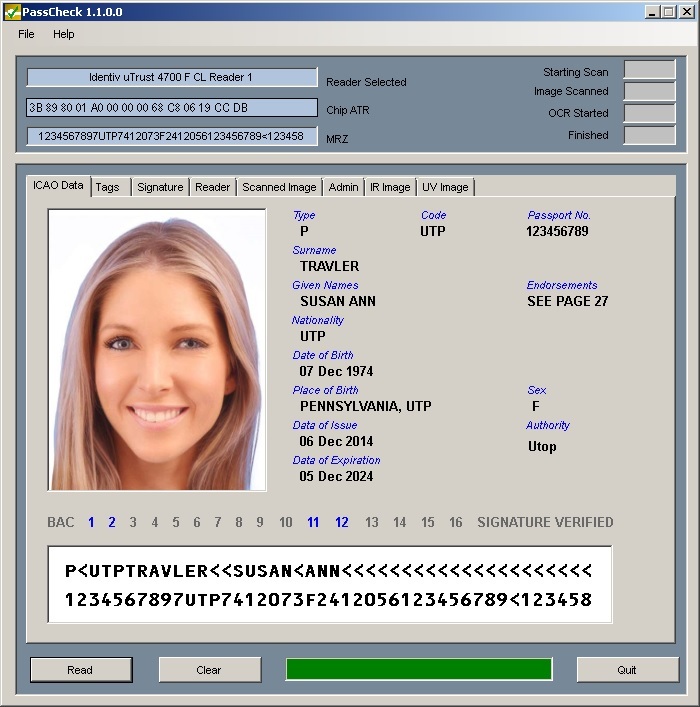 Credential Authentication: In order to verify that the passport, border crossing card, or other MRTD is the legitimate ID Credential in its original form, optical authentication can be performed with hardware that contains optical imaging capability, such as the Access-IS OCR640e Document Imager and eMRTD Reader. The software compares document scanning to over 3,000 exemplars including UV and IR. PassCheck offers optional sanctions lists and PEP (Politically Exposed Persons) compliance modules that help organizations fight terrorist activities and money laundering. The watchlists and PEP compliance meet the demanding requirements of international government regulatory agencies. Biometric functions are built to ANSI378, ICAO9303, NISTIR6529-A, ISO/IEC19794-2, and ISO/IEC19794-4 standards and 2 and 3 line MRZ decoding. PassCheck for Windows PC™ can be used with a wide variety of passport scanners and readers, so that users are not tied to one device. Multiple hardware options enable multi-factor authentication of credential data, documents, and personnel in any setting, such as mobile frontline management of personnel, fixed locations, and multi-device environment. PassCheck software, when combined with Unity™, the new handheld, rugged, multi-modal biometric capture and verification terminal from Corvus Integration, creates the ultimate identity solution for authenticating MRTDs and subjects with biometrics in real-time. Unity is a sophisticated single hand-held mobile computer running on Windows 7 for capturing and verifying multi-modal biometrics that features enterprise class components and software for best in class performance and reliability. Biometric modalities with Unity include multiple fingerprints (live and latent), dual iris, frontal face, and voice. PassCheck software compares newly captured biometrics from Unity against the biometrics already stored in the credential’s smart card chip to reliably authenticate the credential against the presenter’s identity. The Unity Passport Scanner and NFC Reader mounts directly on Unity for instant reading of data from passports, ID-1 ICAO Cards, and other Machine Readable Travel Documents. (Readers/Scanners sold separately) Call for pricing. Bundle (Includes Access-IS OCR640e Document Imager and eMRTD Reader) Call for pricing. 1500001 Optical Authentication Call for pricing. 1500004 Watchlist and PEP Compliance Call for pricing. PassCheck for Unity™ is designed specifically for Corvus’ Unity Passport Scanner/Reader which mounts directly on UNITY for instant adaptation to passport reading with MRZ and NFC capability. Combined, UNITY with PassCheck is a complete, handheld capture and verification terminal for multimodal biometrics and ID Credentials. PassCheck software is easy to use and simple to operate. PassCheck is designed for fixed locations, multi-device environments, and mobile frontline management of personnel in any setting for government-issued documents, ePassports, and ICAO MRTDs. 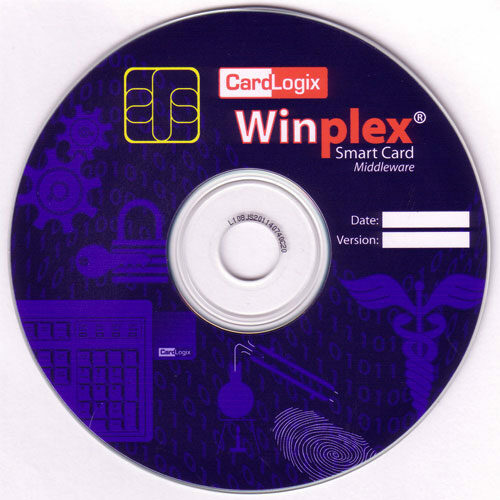 CardLogix is an ISO 9001:2008 certified smart card manufacturer, software developer, and the premier provider of smart card and biometric technology with a comprehensive line of software development platforms and applications that enable easy and rapid development of high quality smart cards and ID systems. Since 1998, CardLogix has supplied millions of cards and card components to over 42 countries around the world. As an expert in smart card and chip technology, card operating systems, card software, development tools, and middleware, CardLogix has continuously been at the forefront of smart card technology. Strong partnerships with key suppliers in software, biometric capture, readers, and printers enables CardLogix to deliver complete, leading-edge solutions for multiple applications to markets globally, such as national, civil, voter and enterprise identity; physical and logical access cards; stored value; loyalty and rewards programs; e-purse; gaming, healthcare and other solutions that use a combination of multiple applications onto one card. Trust is the primary commodity that CardLogix trades in every day. CardLogix builds and maintains customers’ confidence in our products and processes, so that they can trust our cards and software to reliably protect personnel, sensitive data, and their most valuable assets. From development software that’s flexible and easy to use to uncompromising customer support, CardLogix delivers on the promise of trust that our services inspire and our cards guarantee. Our company culture breeds initiative, commitment, and follow-through. As a global supplier and active industry participant, CardLogix understands the importance of being a responsible global business. With recycling, energy conservation, and full RoHS compliance, the company meets its goals with the environment in mind. CardLogix’ mission is to make high security and multifunctional ID Credential systems more widely available for organizations in need. CardLogix strives to make data transactions more secure, personnel and assets more protected, sensitive data more private, and to turn otherwise complex and expensive smart card system projects into streamlined, easier-to-develop, and more cost-effective solutions for both integrators and end-users. CardLogix manufactures high security and multi-functional ISO compliant smart cards, powered by CardLogix’ own operating systems. CardLogix offers easy-to-use software development platforms for programmers, powerful middleware and APIs, a variety of applications software, and innovative solutions that empower both integrators and end-users to develop and personalize smart cards with less dependency on programming.